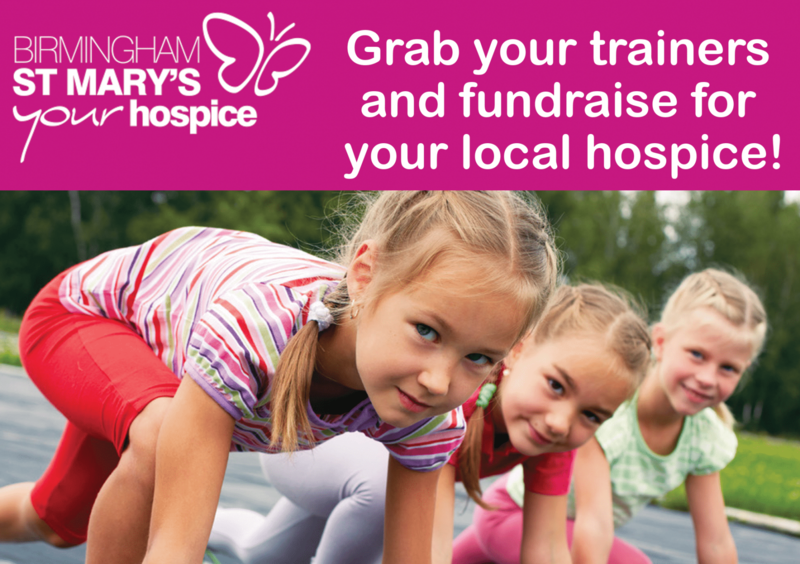 A Birmingham hospice is calling on pupils to grab their trainers, pull on their swimming caps, and don their favourite sports gear this October, in a bid to get active whilst raising vital funds for charity. Birmingham St Mary’s ‘5k Your Way’ is an exciting campaign which challenges pupils to complete 5k of physical activity in a style that suits them best – whether that’s running, skipping, dancing, swimming or anything else! This simple and effective campaign is a fun way for teachers to get kids active and highlight the importance of hospice care, whilst raising crucial funds for local families living with life-limiting illness. To find out more, or to receive an inspiration pack full of wacky and unique ideas, please contact Jenny Chin, community fundraiser at Birmingham St Mary’s, on: jennifer.chin@birminghamhospice.org.uk or 0121 752 8779.